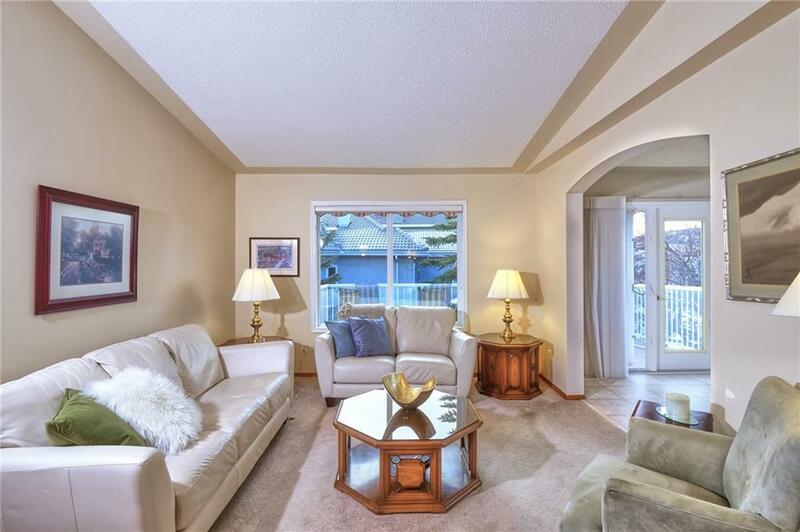 Pride of ownership in this immaculate walkout bungalow villa backing south. 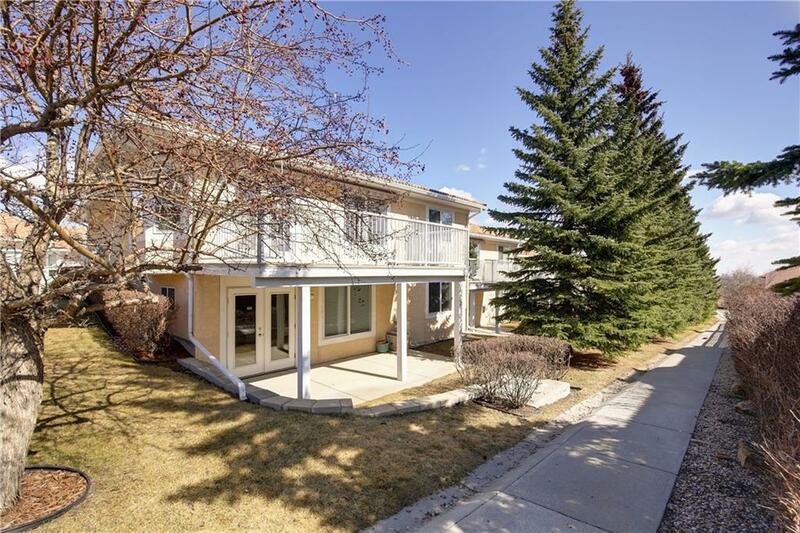 Corner unit with just one neighbor - bright and sunny all day long facing SW. One of the rare walkout units in this development, on the quiet side of the complex. Two main floor bedrooms with two full baths. 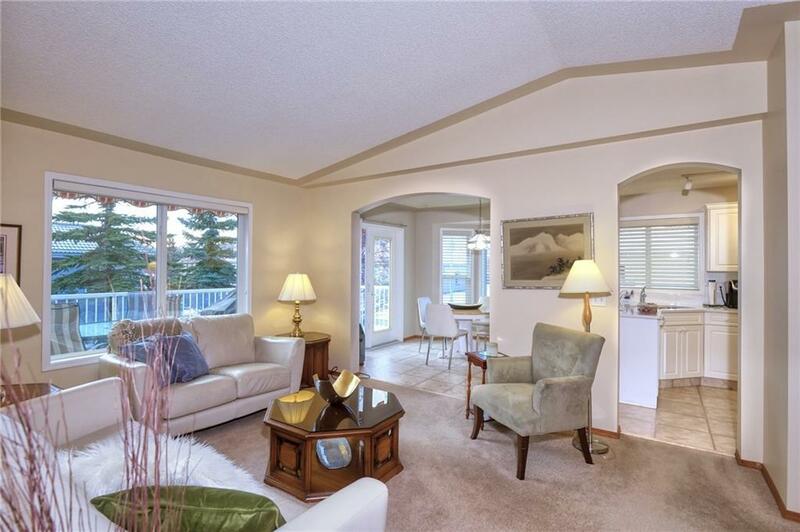 Large living/dining area with vaulted ceilings and custom window coverings. Updated white kitchen with quartz counters, all cupboards retrofit to drawers, lots of counter space for cooking & entertaining. Sunny breakfast nook opening to generous upper patio with downtown views. Dual furnaces one for each level, central air, and new paint. (walkout level, den, ensuite painted 2019). 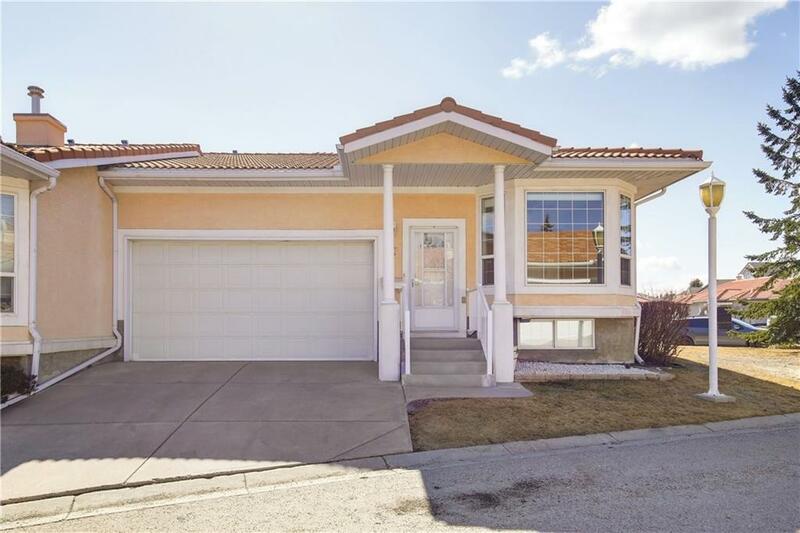 Lower walkout level (with its own furnace) features generous bedroom, full bath, and open TV/entertainment space with corner gas fireplace. Patio doors opening to lower covered deck backing pathway. NOTE-WELL MANAGED COMPLEX WHERE CONDO FEES INCLUDE EXTERIOR MAINTENANCE WHICH MOST OTHERS IN AREA DO NOT.